Brigadier General Frank J. McSherry was an engineer who served as a general during World War II. He is best known for being the chief deputy of The Allied Military Government of Occupied Territory (AMGOT), where he helped set up an Allied government and deal with civilian affairs in Italy. Before becoming chief deputy of AMGOT, McSherry held various other roles in the military. When the United States entered World War I in 1917, McSherry joined the American Expeditionary Forces, the portion of the US army fighting WWI in Europe, and served as a lieutenant. At the beginning of World War II, he served in various war agency, and in 1942, he was sent to Algeria to help assist the American military government there. McSherry's real fame came when the Allies invaded and conquered Sicily. McSherry served as chief deputy of AMGOT, which was set up to govern Sicily, and later, other parts of Italy. 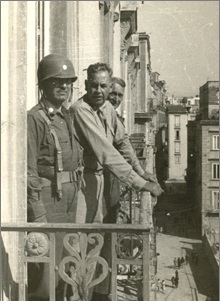 McSherry and the rest of the Americans received a warm welcome in from the Sicilians, who were not fond of the conditions they endured under the Italian fascist government. With the help of McSherry, AMGOT restored basic freedom and granted food and medical supplies to the people of Sicily. As the Allies liberated more parts of Italy from the fascists, AMGOT took control of more Italian cities. McSherry reported the conditions of Naples right after the Allies took it from the Nazis: The water supply was extremely limited, the electrical system was destroyed, and there was a severe lack of transportation methods. Luckily with the help of AMGOT and McSherry, services were able to quickly be restored. McSherry was also part of the Supreme Headquarters Allied Expeditionary Force (SHAEF), where he directed and organized military governments of various territories other than the ones AMGOT controlled, such as France, Germany, and Austria. This was an extremely difficult task for McSherry, as these countries were devastated by the destruction of World War II, and unpredictable events such as failure to conquer a certain territory meant that plans often had to be changed. The sheer size and population of Europe made it complex for McSherry to organize all the military governments at once, as each region of Europe had different levels of destruction. For his service for working in the SHAEF, McSherry was awarded the Army Distinguished Service Medal in 1945. "Battle Of Sicily - THE ENEMY: Friendly Isle." TIME 23 July 1943. TIME. Time Warner. Web. 25 May 2010. <http://www.time.com/time/magazine/article/0,9171,802871-1,00.html>. "Comune Di Napoli - Culture - The Secrets of the Palace - Anectodes and Curiosities - Two Famous Balconies." Comune Di Napoli. Web. 28 May 2010. 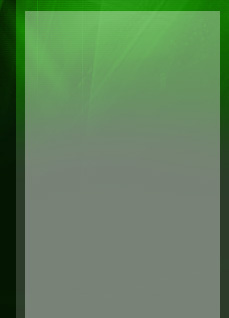 <http://www.comune.napoli.it/flex/cm/pages/ServeBLOB.php/L/EN/IDPagina/7285>. "Valor Awards for Frank J. McSherry." Hall of Valor. Military Times. Web. 25 May 2010. <http://militarytimes.com/citations-medals-awards/recipient.php?recipientid=27289>. Carafano, James Jay. Waltzing into the Cold War: the Struggle for Occupied Austria. College Station: Texas A & M UP, 2002. Google Books. Web. 25 May 2010. <http://books.google.com/books?id=a2YP-snjkQMC&printsec=frontcover&source=gbs_v2_summary_r&cad=0>.